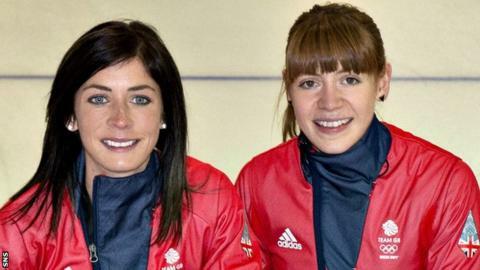 Scottish curler Claire Hamilton has announced she is leaving Eve Muirhead's Olympic bronze medal-winning rink. Hamilton was also part of the World and European Championship-winning teams. "I'm hugely proud that as a curler I realised my ambition of being world champion and an Olympic medallist," she told management company Red Sky's website. "Before the new Olympic cycle starts, I feel it is the right time for me to move on and explore some other ideas." The 25-year-old from Lockerbie added that she had "loved being part of Team Muirhead". "I would like to thank the girls for the fantastic opportunities and experiences that being part of the team has brought me," she explained. "I'm excited about what the future might hold and will take this summer to investigate what I might do." Anna Sloan and Vicki Adams are the remaining members of Muirhead's successful rink. And skip Muirhead said: "Claire has been a world-class lead for us and we will be sad to see her go. "We will take some time before deciding on a replacement but we are excited about the journey to 2018. "This season has been an amazing one, and taking home an Olympic medal was a dream come true for all four of us. "Anna, Vicki and myself would like to thank Claire for the huge part she has had to play in Team Muirhead in the last four years and we also are looking forward to seeing what we can do as a team going forward."